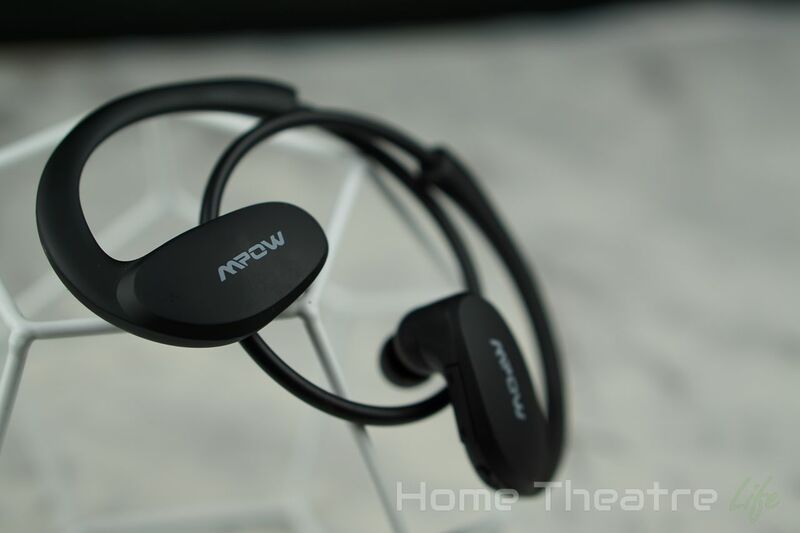 The Mpow Cheetah is a sporty set of in-ear Bluetooth headphones featuring Bluetooth 4.1 and integrated controls. How good are they? 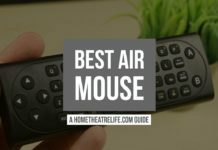 Read my Mpow Cheetah review to find out. 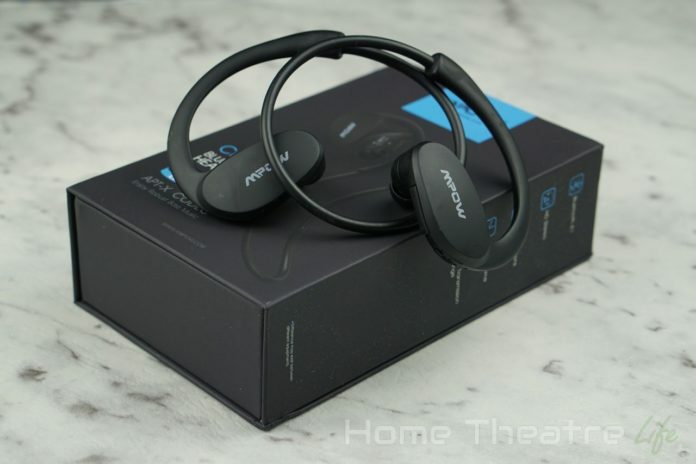 The Mpow Cheetahs are not a bad looking headset, with its chunky all-black design. 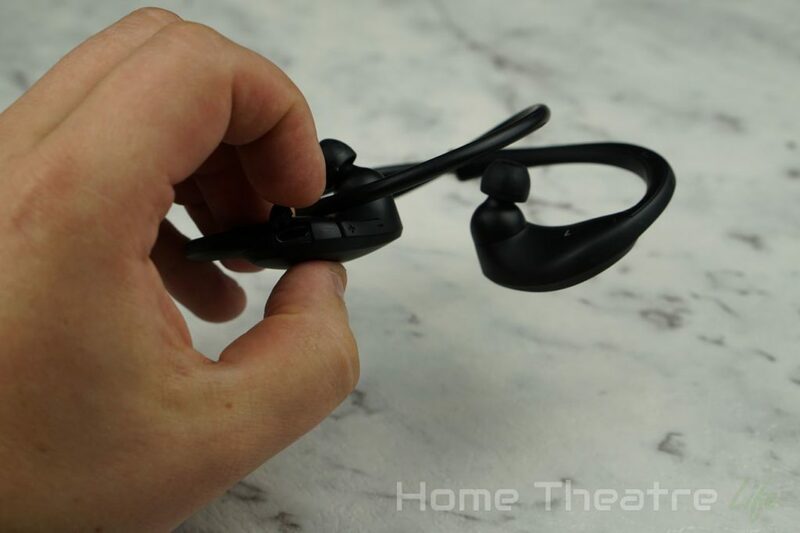 Each earbud is quite large, with the drivers featuring a slight curve to help get into your ear. The controls and micro USB charging port are located on the top of the unit, with the power button and volume controls. The thick wire that connects the two earpieces sits behind your neck and keeps everything in place. Charging up the internal battery takes a hour or so. Pairing them is simple. Hold the power button to boot them up and select “Mpow Cheetah” from your phone’s Bluetooth menu. The Mpow Cheetahs can actually be paired to two phones simultaneously which is pretty handy. Music can be controlled using either your phone or the onboard controls. Each button pulls double-duty so you can hold the volume buttons down to skip tracks whilst pressing the power button acts as play/pause. With the controls sitting on the earbud, they’re pretty easy to get to though trying to hit the right button takes a little practise. 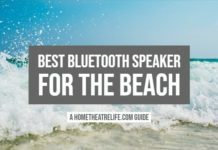 The Bluetooth connection is fairly solid, though I did encounter a couple of instances of interference where the audio would drop in and out for a second or so. The headphones fit well into my ears thanks to the angled drivers and the default rubber tips were fine. Noise isolation is fairly good to, maintaining a good seal and blocking out most outside noise. The stiff wire that sits across your neck does a good job of keeping everything in place when running, though I found the clamping of the wire a little excessive though. It was never uncomfortable but I was always aware I was wearing the headphones. I was pretty happy with the battery life of the Mpow Cheetahs, with only 10-15% drop after around 2 hours of listening so you should be able to get 1-2 days depending on how much you use them. Keep a micro USB cable on hand to keep them charged. The Mpow Cheetah audio quality is slightly disappointing. Coming from excellent headphones such as Mpow’s own Seals Airflow, the Cheetah is a definite drop in audio quality. I found the audio a bit muddy, with overpowering bass hiding a track’s detail. They seemed to sound better after a few hours of listening but I’m not sure if that’s burn in or my own ears getting used to how they sound. Volume on the Mpow Cheetahs is impressively loud, with just over half being on my threshold of comfort. 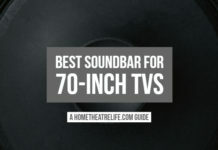 Those who like it loud will be happy. The hands-free microphone is functional but its placement means its hard for the other part to hear you (like pretty much every Bluetooth headphones I’ve used that have microphone). 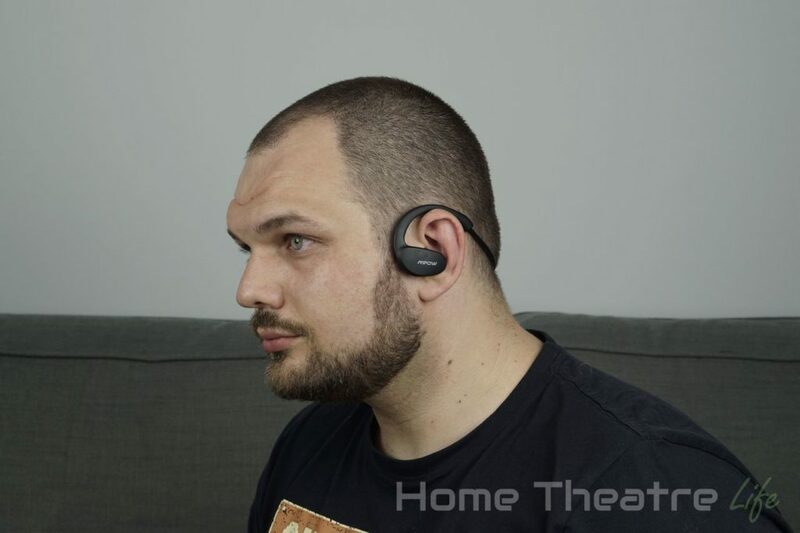 It worked fine and I’m glad the feature is there but it definitely won’t replace a dedicated Bluetooth headset. 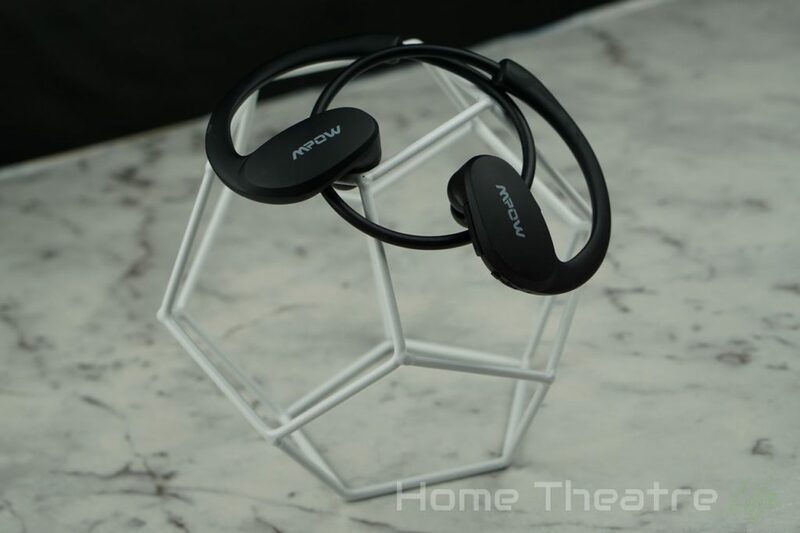 The Mpow Cheetahs are a decent Bluetooth headset, though there’s definitely room for improvement. Whilst I was impressed by the features available for its budget price tag, the audio quality was pretty much what you’d expect for $30. 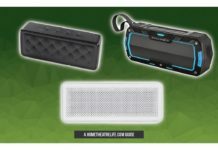 The Mpow Cheetahs are available from Amazon, Mpow, GearBest and eBay. 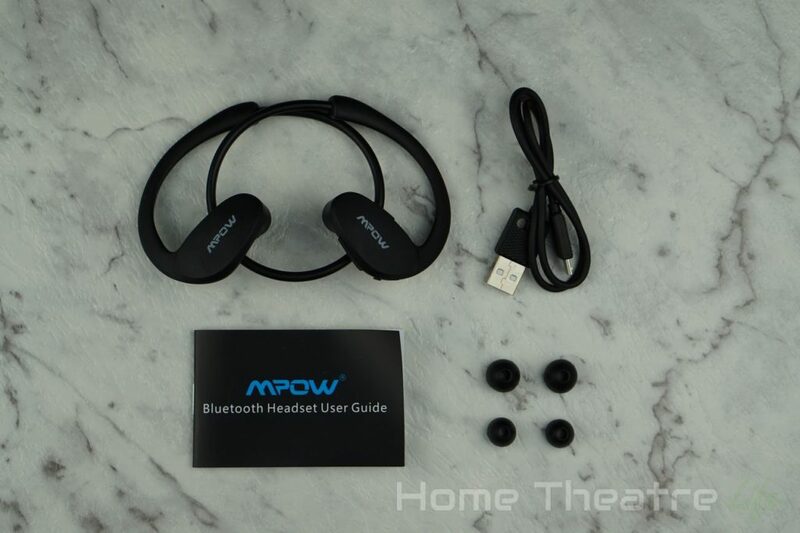 The Mpow Cheetahs are packed with features but their sound matches their budget pricetag.